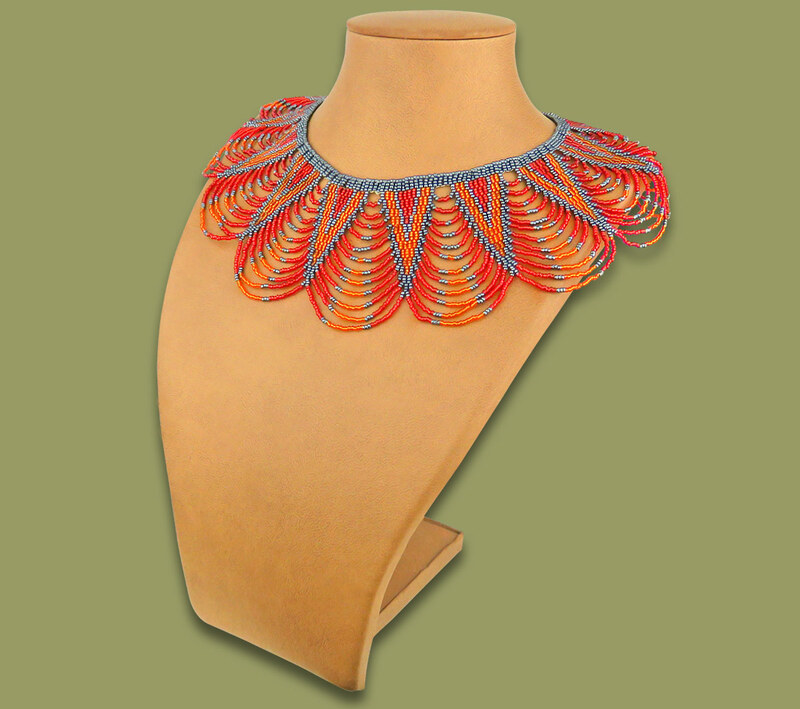 African Beaded Necklace Zulu Spear Fringe Design - RED ORANGE METALLIC. Hand made by highly skilled African Beadwork ladies from the rural areas of South Africa. Choker style necklace with ball and loop close at the back. This is a handmade African beaded necklace and all sizes and weights are an average and may vary slightly.